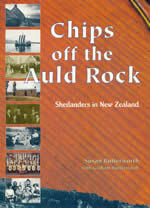 In 1997 the Shetland Society of Wellington celebrated its 75th anniversary with the publication of Chips off the Auld Rock: Shetlanders in New Zealand written by Susan and Graham Butterworth. This book is both a history of Shetland settlement and a flavour of Shetland life in New Zealand. Copies are still available for $25 (plus $6 for postage within NZ if required, and an additional $3.70 if to a rural delivery address). Post your payment to the Society, or send an email to librarian@shetlandwellington.org.nz to make an alternative arrangement for payment and collection. The 90th anniversary was celebrated with a dinner in Wellington on 22 September 2012. 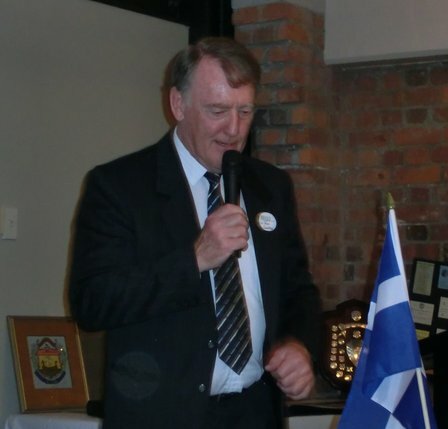 Jim Coutts, immediate past-president proposed the toast to The Auld Rock and the Shetland Society of Wellington with a speech. A message of congratulations from Malcolm Bell, Convenor of the Shetland Islands Council, was read at the anniversary dinner. Rose and Jim Coutts of the Shetland Society of Wellington begin this account with an introduction to Shetland and the conditions there that prompted many to emigrate to New Zealand. 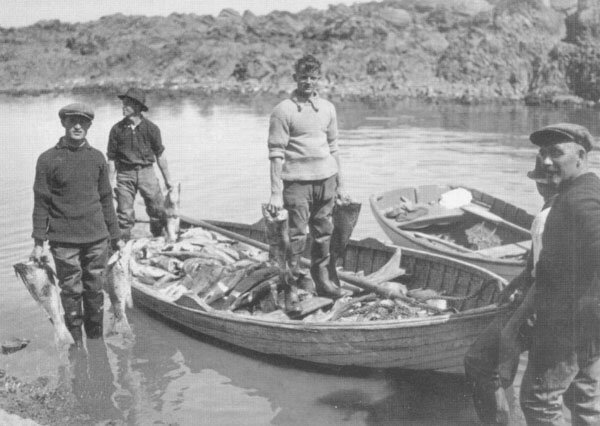 Many Shetlanders who settled in Wellington worked as fisherman out of Island Bay. This is a record of the families, the boats, the fishing industry and some of the events of that time. You can read the full article (or print a copy) here (pdf 1.09 Mb). These are the memories of Bill Tait, born in Island Bay, Wellington to Peter and Maggie Tait, emigrants from Shetland. He writes about their settling in Island Bay, his father’s work as a fisherman, their family life, and the gatherings with other Shetland Islanders. Bill Tait died early in 2011, just two years after these memories were recorded. You can read the full article (or print a copy) here (pdf 402 Kb). This extract from Chips off the Auld Rock gives a short summary of Robert Stout’s life, highlighting some of the principles formed during his childhood in Shetland to which he would hold throughout his long life. You can read the extract (or print a copy) here (pdf 759 Kb).